The Community of New Albany has been on a bit of a roll lately. Someone forgot to tell them the country is in a recession. Not only has the city seen their $1 billion dollar investment in commercial and state-of-the-art infrastructure over the past 10 years pay off in bringing in companies that want to make use of that infrastructure, they have also increased accessibility through building community. This has resulted in the New Albany Business Park’s record commercial growth in the midst of a recession. Growth that has captured the attention of media outlets on a local and state level by creating 3,500 jobs. 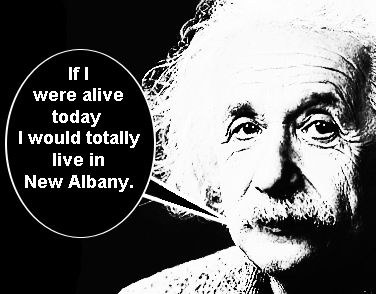 In the spirit of continued re-investment in community New Albany council created, newalbanybusiness.org, a micro-site that supports the idea of challenging the status quo by finding innovative new ways to promote smart growth. The site also reinforces that New Albany’s business propositions go well beyond tax incentives and focus on a high level of business connectivity, productive public private partnerships and maintaining a technological edge. The micro-site is the cherry on top of a communications plan that earned New Albany Council and staff the coveted Diamond Award at the recent Public Relations Society of America (PRSA) East Central District Diamond Awards competition. New Albany’s communications plan beat out 16 local PRSA chapters in the states of Indiana, Kentucky, Michigan, Ohio, Pennsylvania and West Virginia.